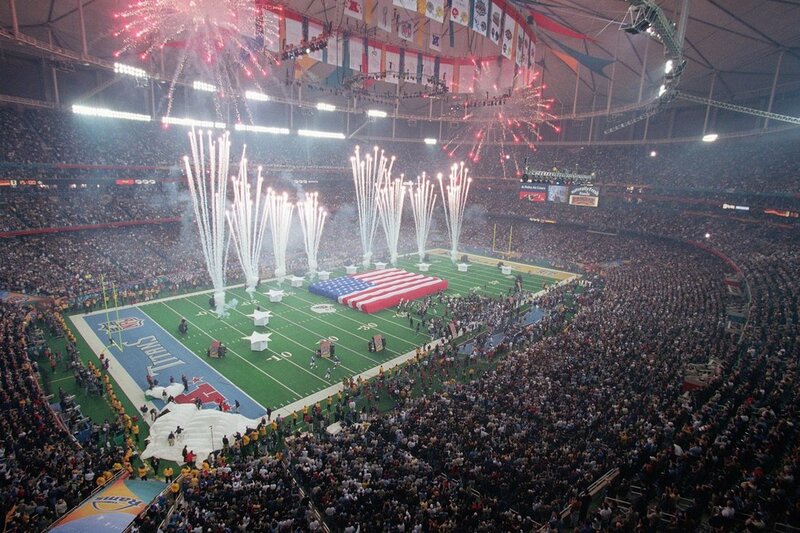 ​​​​In one of the most explosive finishes in Super Bowl history, the Tennessee Titans would literally fall one yard shy from tying the mighty St. Louis Rams in a contest that, as slow-burning as it was, would live in the memory of football fans for a generation. 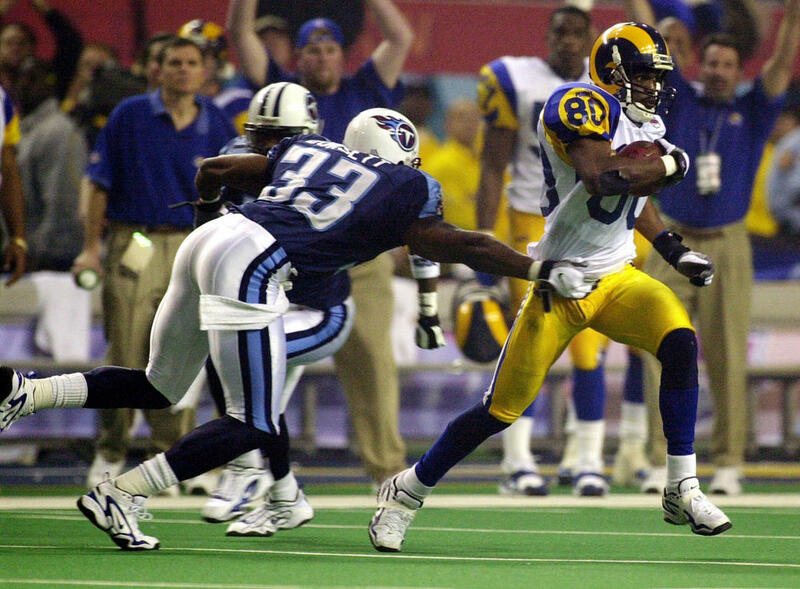 Although the Rams' high-powered "Greatest Show On Turf" offense managed to move the football up and down the field, the Titans held them to only three field goals and a 9-0 halftime lead. 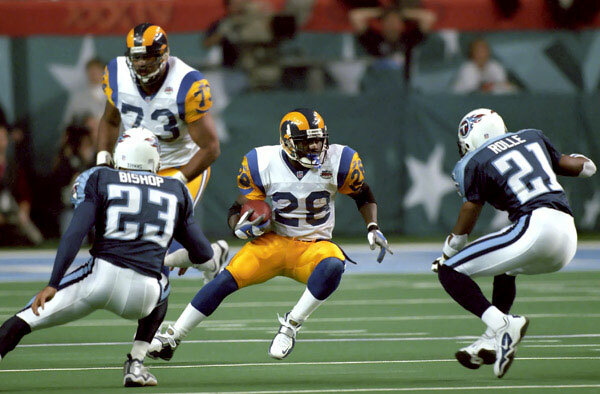 The Rams finally broke into the end zone in the second half when Kurt Warner found Torry Holt from 9 yards away to take a 16-0 lead. However, just when it looked like the largely expected drubbing was underway, the Titans began to fight back. In one of the greatest 1-yard touchdown runs in Super Bowl history, Eddie George put Tennessee's first points on the board. An attempt at a 2-point conversion failed however, and the score stood at 16-6 after three quarters. Eddie George would score again in the final period, pulling the score to 16-13, before kicker, Al Del Greco booted through a 43-yard field goal, and with the game drawing to a close, the scores were level. Just as the possibility of overtime looked to be certain, the Rams fired back - literally. 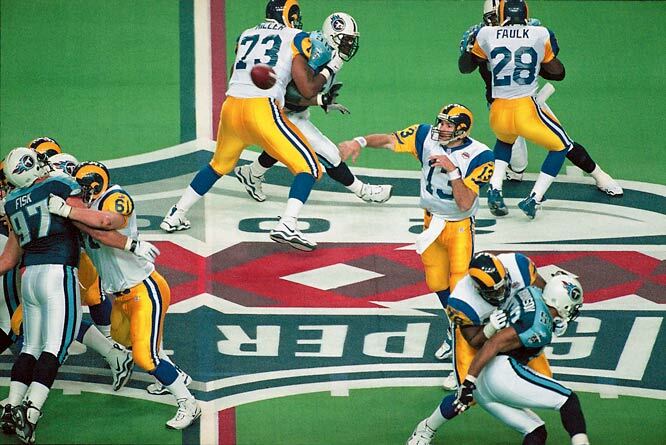 Kurt Warner stepped back into the pocket with a vicious Titans' pass rush coming at him. He zipped the pass to veteran receiver, Issac Bruce, who eluded the Titans' defensive back, and raced 73 yards for the go-ahead score. With less than two minutes remaining, the Rams were ahead, 23-16. 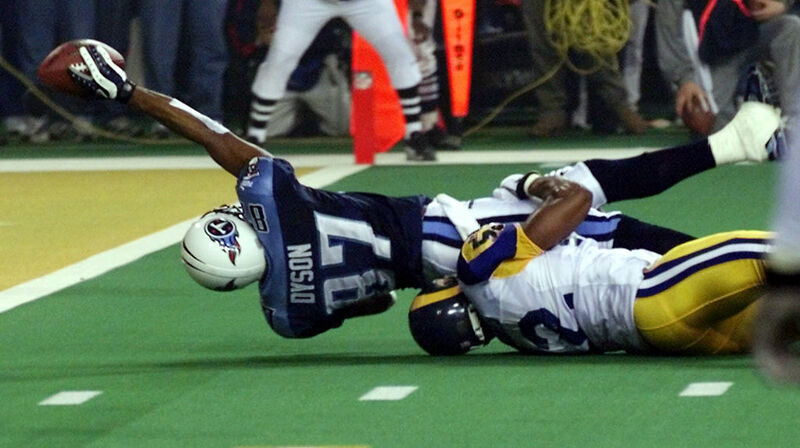 Tennessee, led by the race-horse-like legs of Eddie George, and the sheer guts and determination of quarterback, Steve McNair, would drive right the way down the field. 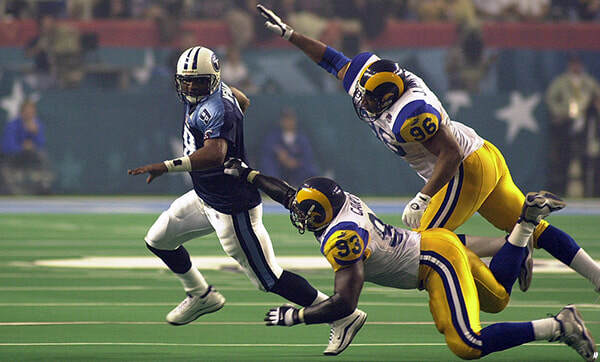 The Rams defensive was quickly tiring, and the Titans could sense it. On the last play of the game, McNair fired a pass to receiver, Derrick Mason, who was a yard away from breaking the goal line. He would be stopped one yard shy by linebacker, Mike Jones. The game was over. 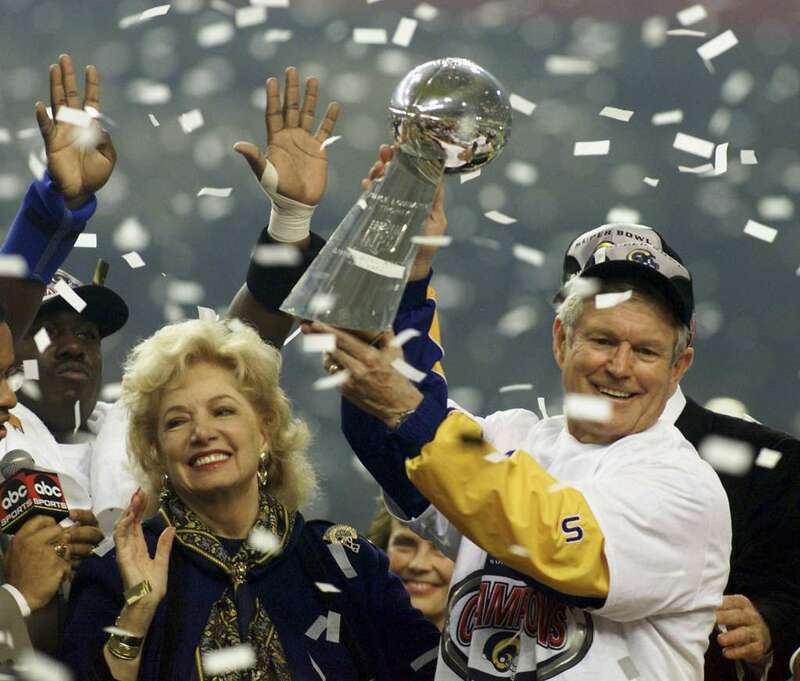 The Rams were champions, and it was McNair's opposite number, Kurt Warner, who scooped the contest's MVP award.